Hong Kong—Pace Gallery is honored to present the first solo exhibition in Hong Kong dedicated to internationally-renowned artist Irving Penn, on view at Pace’s H Queen’s gallery from January 25–March 7, 2019. Featuring thirty photographs drawn from the collection of The Irving Penn Foundation, the exhibition will showcase a selection of the artist’s most iconic works in fashion photography, portraiture, nudes, and still life from four decades of his career. In addition to Penn’s photographs, the show will feature two of the artist’s mixed-media paintings, also drawn from the Foundation’s collection. Making their premiere in Asia following a debut exhibition at Pace in New York in fall 2018, these late paintings reveal the artist’s largely-unknown experimentation in the medium. An opening reception for the exhibition will be held at 80 Queens Road Central, 12/F from 6 to 8 PM on Thursday, January 24. One of the most esteemed artists of the twentieth century, Penn reinvented fashion photography through his long career at Vogue. His use of a concise, smooth style and stark black and white color palette marked an innovative shift from the ornate settings that had previously defined the genre. The exhibition features several photographs from Penn’s time at Vogue, including: The Tarot Reader (Jean Patchett & Bridget Tichenor) (1949), Velvet Helmet Hat (Sue Jenks) (1949), Black and White Fashion with Handbag (Jean Patchett) (1950), Long Sleeve (Sunny Harnett) (1951), and Balenciaga Rose Dress (1967). 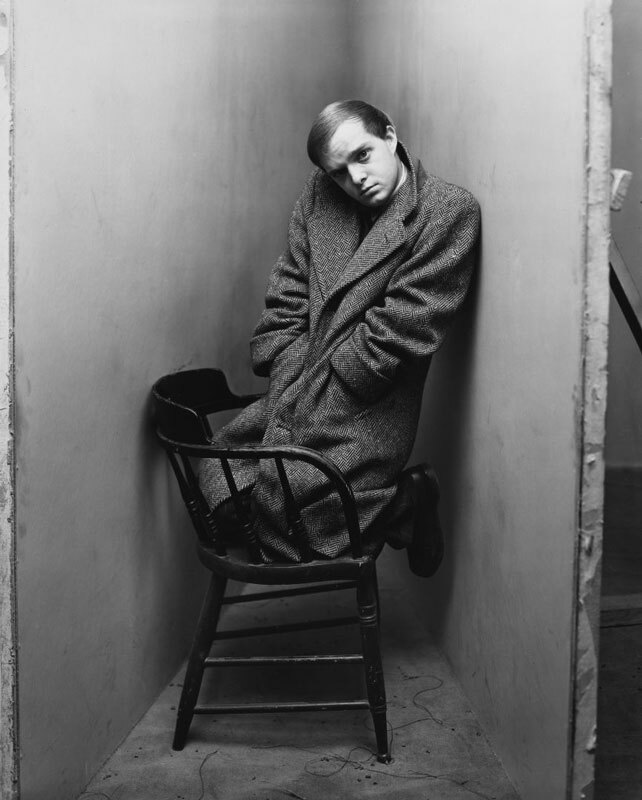 Other notable highlights of the show include portraits of seminal creative figures, such as Francis Bacon, Truman Capote, Marcel Duchamp, Georgia O’Keefe, and Pablo Picasso—all of which underscore Penn’s singular talent and innate sensitivity in capturing the essence of the sitter through photography. In addition to these larger bodies of work, the exhibition will present a selection of Penn’s nudes, still lifes, ethnographic portraits, and several pieces from his Cigarette series from 1972—a series that marked a turning point in Penn’s platinum-palladium printing technique that reached new levels of detail and texture. While internationally renowned for his work as a photographer, Penn initially set out to be a painter and this exhibition will feature a small selection of paintings he made at the end of his career, including African Village (2005) and Untitled (2006). In an evolution of his platinum-palladium printing technique for photography, many of Penn’s paintings commenced with the artist creating a drawing in graphite or ink, which he would then photograph, enlarge, and print to emphasize his lines’ graphic style. Drawing inspiration from leading 20th-century figures such as Henri Matisse, Giorgio Morandi, and Fernand Léger, Penn’s textured, often verging on abstract, paintings deviate from the striking and smooth style of his photographs yet share in similar printing techniques and bold character. As his painting practice evolved in the early 2000s, Penn began to forego the printing step, painting more directly and freely, as evidenced in the fluid expressiveness of the paintings on view in this exhibition. Irving Penn (1917-2009) was born in Plainfield, New Jersey. From 1934–38, he studied design with Alexey Brodovitch at the Philadelphia Museum School of Industrial Art. Following a year painting in Mexico, he returned to New York City and began working at Vogue magazine in 1943, where Alexander Liberman was an art director. Penn photographed for Vogue and commercial clients in America and abroad for nearly 70 years. Whether an innovative fashion image, striking portrait or compelling still life, each of Penn’s pictures bears his trademark style of elegant aesthetic simplicity. In addition to his editorial, advertising, and personal work, Penn was also a master printmaker. Beginning in 1964, he pioneered a complex technique for making platinum-palladium prints, a 19th-century print process to which he applied 20th-century materials. Penn has had over 40 major museum exhibitions in his lifetime including shows at the Museum of Modern Art, New York, The National Gallery of Art, Washington, D.C., The J. Paul Getty Museum, Los Angeles, and his Centennial opened at the Metropolitan Museum of Art, New York, in 2017. The pace is a leading contemporary art gallery representing many of the most significant international artists and estates of the twentieth and twenty-first centuries. Pace advances this mission through its dynamic global program, comprising ambitious exhibitions, artist projects, public installations, institutional collaborations, and curatorial research and writing. Today, Pace has ten locations worldwide: three galleries in New York; one in London; one in Geneva; one in Palo Alto, California; one in Beijing; two in Hong Kong; and one in Seoul. Pace will open a new flagship gallery at 540 West 25th Street in New York in September 2019. In 2016, Pace joined with Futurecity to launch Future\Pace—an international cultural partnership innovating multidisciplinary projects for art in the public realm.